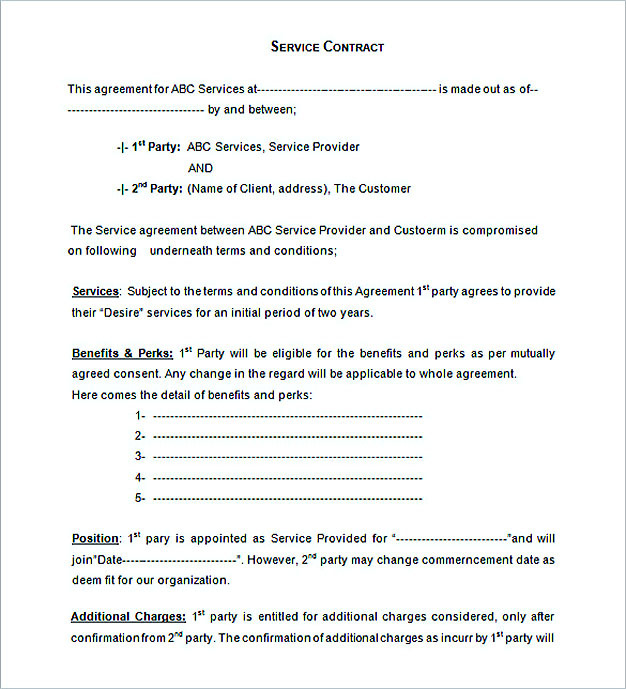 Service contract is an agreement in which both sides need a special written statement and up to the period that is specified together. A written statement is of course related to the provision of certain services from the provider chosen by the business. 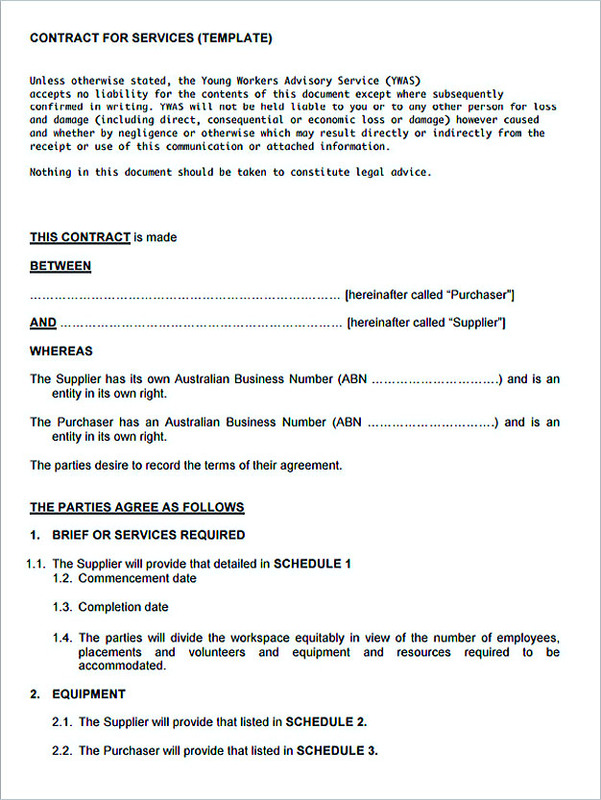 Service contract template becomes crucial because it contains some of information that must exist in every contract. Service contract is used to maintain a relationship between the two sides and the cooperation process goes well according to plan. 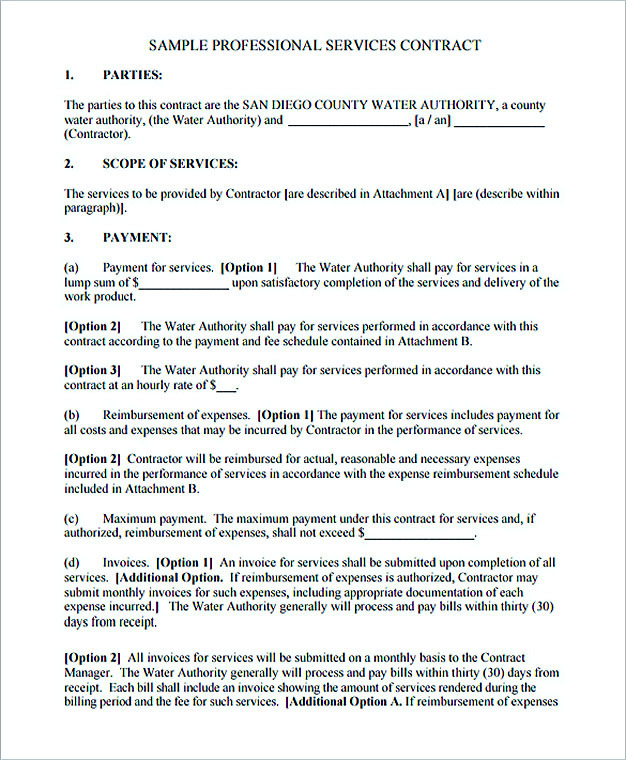 There are also some things to know about the service contract. After the agreement is made, then there should not be one of the parties which gain more benefits. In addition, there are provisions that regulate the performance of the contract. Therefore, it is important to look at the contract thoroughly to make sure there are no terms and conditions in the contract that can be harmful to one or both parties involved. 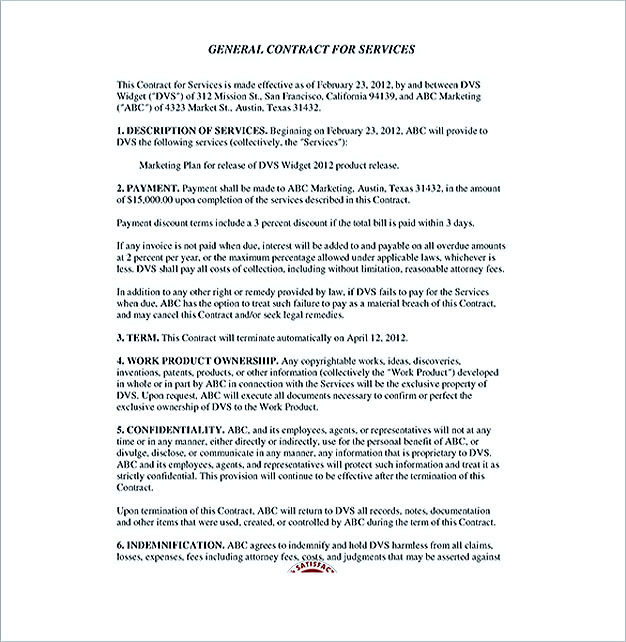 There are some usual things included in the service contract template. 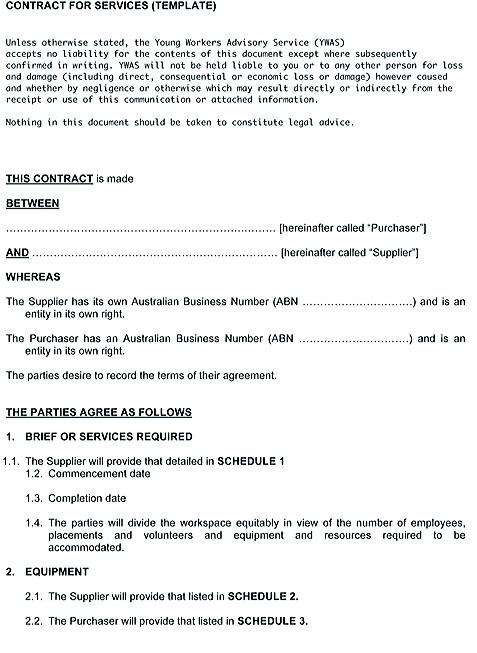 These sections should be included because they belong to important part of the contract. First, kind of supports that will be used in the service contract complete with respective price of the services. How, when, and where the supports are provided also needs to be explained. Describe the time limit about how long it would be provided too. The service contract needs to be reviewed so that it needs to be determined when and how to do it. Issues that may arise during the relationship also needs to be reviewed and written about in the service contract ranging from minor issues such as how to cancel appointments because of other urgent matters to a more serious problem. As much as possible to find a solution for every possible problem so it is not disrupting relations between two parties. State responsibilities of both parties can also be explained. After the period stated in the agreement has completed, the business and the provider must make an agreement on how to terminate the contract at the same time make changes while the relationship is still ongoing. 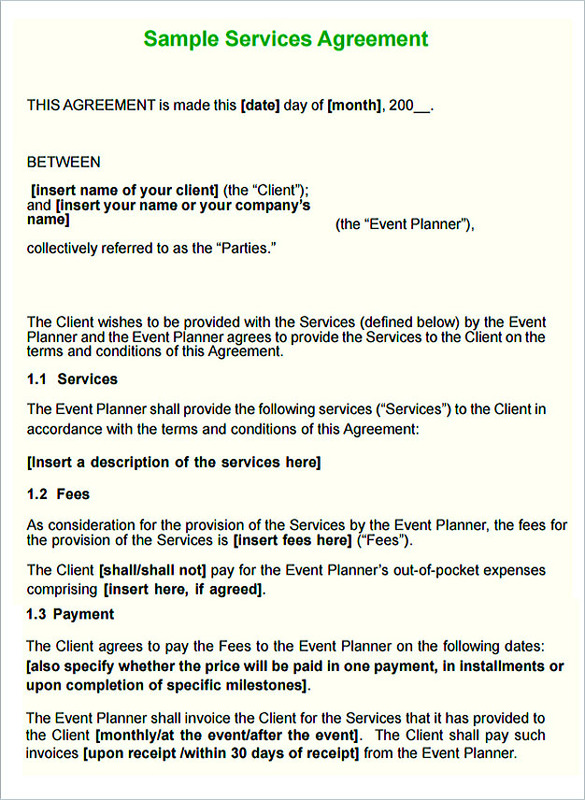 Before putting some things in the service contract template, describe basic information of both parties beforehand then state the service to be provided. 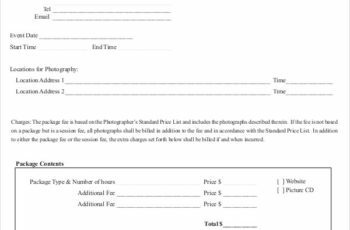 Add a payment schedule and address about the terms of confidentiality, non-solicitation, and non-competition. It depends on both parties’ agreement though. Address also about the ownership of materials before and after the contract ends since there will probably be items produced under the contract. Last, few more options that both may want to add. 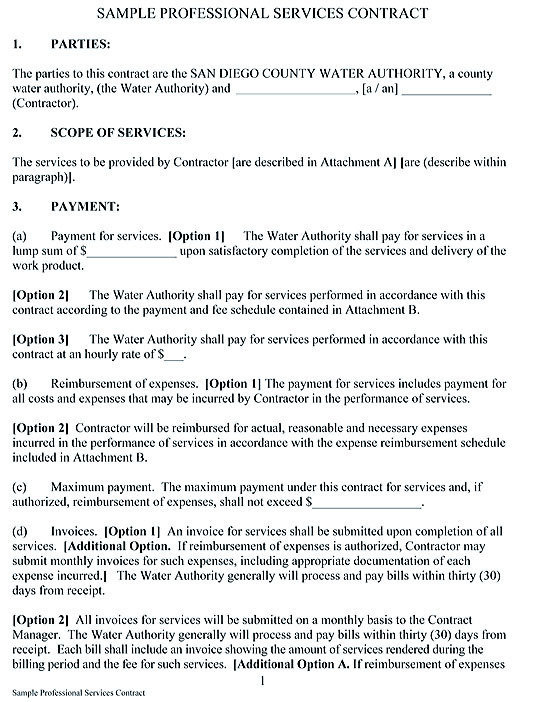 The more details related to the content of service contract template, then the better the contract will be. As previously stated, after the contract has set, there must be no terms and conditions that harmful for one of the involved parties. The contract is used to make a professional relationship between two parties, the business and the provider. 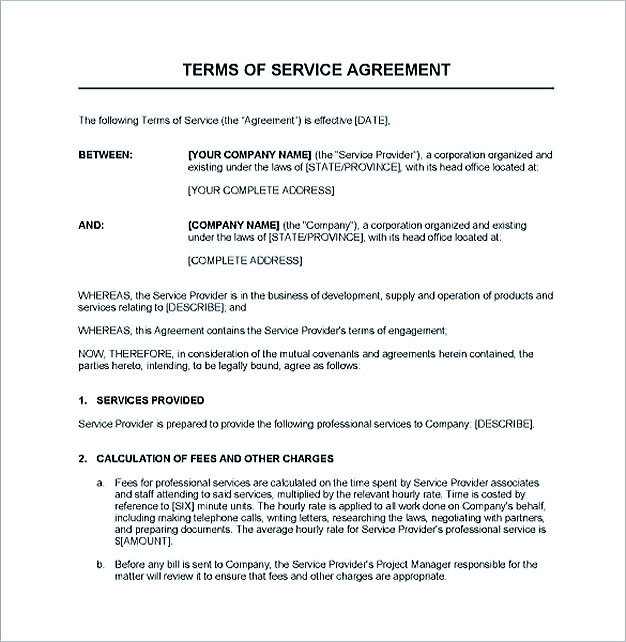 Service contract template aims at preventing the future misunderstandings that may arise as problems to solve which will be written under the contract. 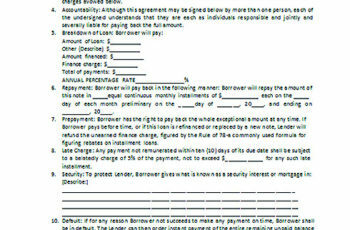 The contract records about the kind of services, costs, duration, responsibilities, and more.